Back pain is one of the most common complaints doctors hear from their patients. While there are many treatments available, stem cell treatment for back pain is quickly becoming a viable option. Stem cells are able to help rebuild joint cartilage, tendons, ligaments and muscle tissue, all of which help strengthen the back and relieve pain. Doctors are able to take stem cells from a patient and inject them into their back, allowing a patient’s body to heal itself. A wide range of back pain issues and illnesses can be helped or even cured with stem cell therapy. Years of development has led to few clinical studies, but even limited research shows great promise. As time goes on, more clinical trials will be performed and costs will decrease, making stem cell therapy a great option for those suffering from back pain. Many chronic pain issues can be solved using stem cells. Two of the most common ailments that have been helped and cured with stem cell therapy include degenerative disc disease and spinal facet disease. Degenerative Disc Disease – The spine consists of a series of discs, all connected by cartilage which is located between each disc. Degeneration of the cartilage between discs is a normal occurrence of life for everyone. However, a patient with disc degeneration experiences loss of disc material and disc cartilage much faster than the body can regenerate it. With stem cell treatment, this material can be rebuilt at a quicker pace, making up for what has been lost. Spinal Facet Disease – Spinal facet disease affects a different area of the spine in a similar way. The spine features a series of facet joints on the left and right side of each spinal segment. These facets help with stability and provide strength for the back. Spinal facet disease breaks down the cells in these facets quicker than they can regenerate. Stem cell therapy will kick the healing process into high gear, repairing the lost material and restoring strength and stability in each patient. How Does Stem Cell Therapy Help Treat Back Pain? Stem cells are everywhere in the body, even in diseased joints. These stem cells wait until nearby cells die. Then, they take their place and mimic the remaining cells nearby. When a few spine cells die, there should be enough stem cells to replenish the total cells needed. However, when a degenerative disease is present, the body cannot keep up with the demand of replenishment. This is where stem cell therapy comes in. Doctors can carefully inject stem cells into the precise location where they are needed most. These cells quickly become new material for the spine, which can alleviate pain and even reverse some of the damage. What is the Process of Stem Cell Therapy for Back Pain? Despite being high-tech, stem cell treatments are fairly simple. In fact, the procedure can be performed in as little as one hour, and most patients only need an outpatient visit to receive treatment. First, a doctor sources the adult stem cells directly from the patient. Usually this is done by taking stem cells from the patient’s bone marrow or platelet-rich blood plasma. Next, the stem cells are injected into the patient’s back. Using a needle injection and ultrasound technology, the doctors can precisely inject the stem cells where they will be beneficial. This ensures the stem cells will go to work repairing the back as efficiently as possible. Finally, over the course of a few weeks or even days, the stem cells will begin mimicking the surrounding cells. While the body will continue losing healthy cells due to the degenerative disease, the stem cells will easily replace what is lost and help rebuild the body. The best results typically come from 2 or 3 rounds of stem cell therapy to ensure and promote long term repair. What Kind of Results Can A Patient Expect? Presently, there are limited clinical trials for stem cell therapy for back pain. Although results vary, most patients report positive results over the course of a few weeks after receiving several rounds of treatment. As stem cell therapy continues to be used for healing, there will be more clinical trials and doctors expect positive results. Notably, many professional athletes have experienced relief from ailments due to stem cell therapy. Professional golfers such as Tiger Woods and Jack Nicklaus have experienced back issues due to their many years of golfing. Both have reportedly turned to stem cell therapy to treat their back pain. As a result, they have less pain and have managed to increase their range of motion due to the treatments. Nicklaus has even said that stem cell therapy has worked better for him than any other treatment or surgery. 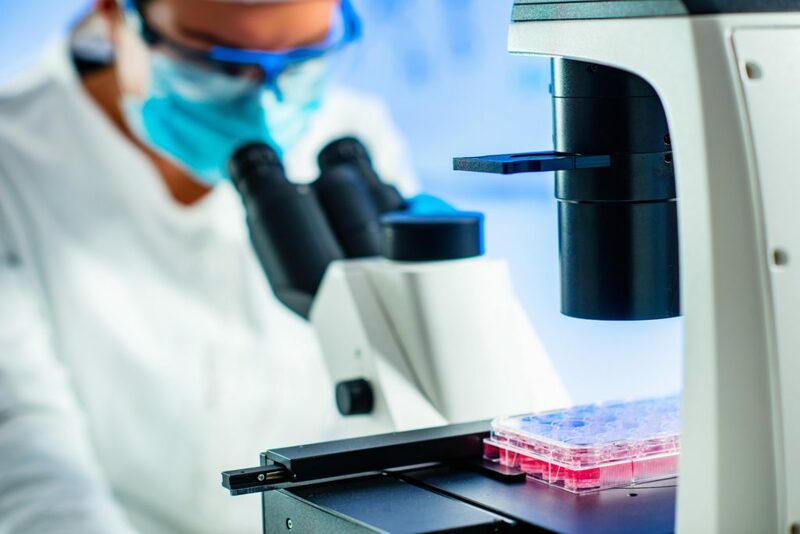 Stem cell therapy is a safe option for nearly any degenerative disease or injury where cartilage, tendons, ligaments, or muscle tissue has been damaged. Since the stem cells come straight from the patient’s own bone marrow and blood, there is no risk of the body rejecting the injections. The most amazing part is that the patient’s body is used as a tool for healing itself. While stem cell therapy for back pain is still in development, there are few opportunities for complications, the procedure can be performed quickly and the cost of the procedure is rapidly decreasing. Over time, as more studies are performed, insurance carriers are expected to begin covering part or all of the treatment. If you are looking to relieve your back pain or treat a degenerative disease, stem cell therapy may be the perfect solution to heal your body. Schedule a consultation with us today to find out if stem cell therapy is right for you!